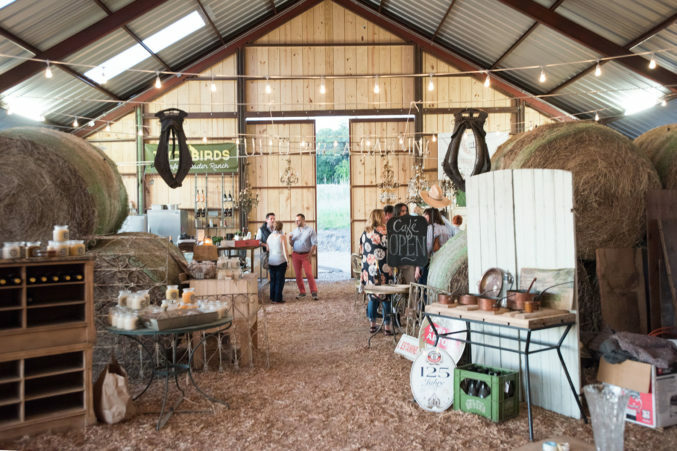 Here’s where to shop, eat, and stay in Round Top and Canton. One’s a rural, 20-mile stretch between Austin and Houston. The other is a sleepy town in East Texas. 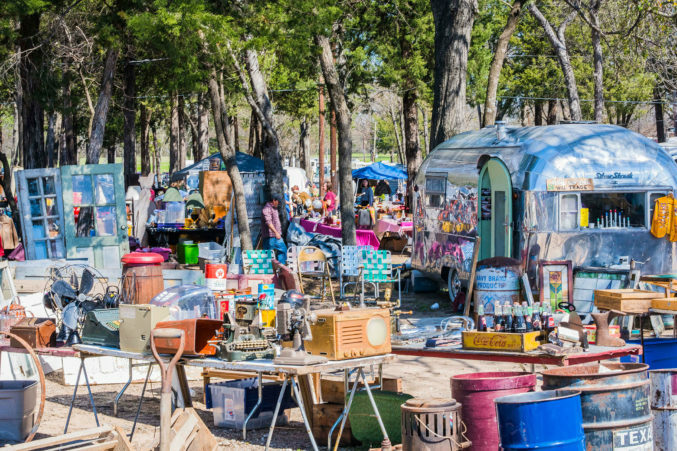 Both offer good deals, antique finds, and old-fashioned Texas fun. 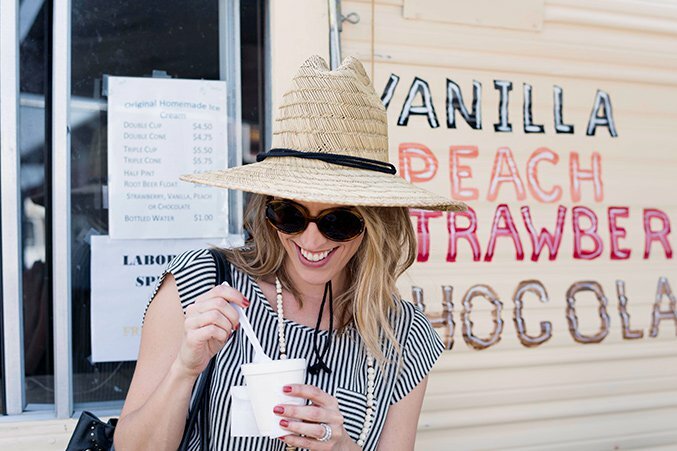 Here’s where to shop, eat, and stay in Round Top and Canton. There are two shows: one in April and another in September. Each venue has its own dates, so be sure to check roundtop.com to find out when your favorite spots will be open. Drive south on I-35 to Waco and veer off onto Highway 77. The trip takes about three hours from Dallas. Save plenty of space in your car for the goods you’re about to buy. Blare George Strait the whole way there. It can be breezy during the spring show and hot during the fall show, so pack accordingly. Don’t forget cash, comfy shoes (cowboy boots encouraged), bug spray, sunscreen, and a big hat. We also suggest a small wagon to haul around your finds. 100,000 shoppers descend on Round Top for the three-week fair. The town is divided into multiple tents and shows, and each has its own specialties. For curated finds from French antiques to Persian rugs hit the Arbor International Antiques & Interior Design Show, the Marburger Farm Antique Show, North Gate Field, Blue Hills, and The Compound. If you’re there to dig for treasures, the fun is in the fields in Warrenton. 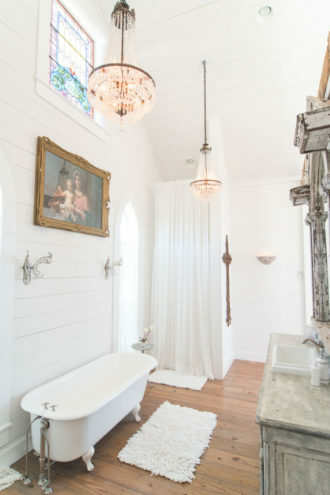 The White House on the Hill is an old church refurbished by Houston couple Rob Rosenbaum and Linda O’Neal. The couple also has a 2,800-square-foot barn that has three kings and two twins with a kitchen and living area. Barn rates start at $295 for two people; $50 for each additional person. Church rates start at $235. On antique show weekends there is a two-night minimum and space goes fast. Reserve early. Royers Round Top Café is known for its pie and comfort dishes. Reservations are needed on show weekends. Bader Ranch hosts chefs during the shows and offers lunch and dinner (a rotating menu every night) by reservation. For happy hour, check out Prost on Block 29. Each venue also has its own culinary offerings. Jean de Merry’s Kelsey Ann Haley, Ike Isenhour, and Michelle Nussbaumer. First Monday Trade Days take place the Thursday through Sunday before the first Monday of every month. For 2019 dates, go to firstmondaycanton.com. The vendors are on-site rain or shine from sunup to sundown. The trek takes just over an hour from Dallas via I-20, but be sure to print directions and information beforehand as phone coverage can be spotty. Visit firstmondaycanton.com for maps, parking lots, and directions. Parking pro tip: The Civic Center off Highway 64 is $5. Cash. Most vendors do not take credit cards, and you can negotiate better deals with cash. Wear closed-toe shoes for tromping through the dirt, and take a handcart for transporting finds (you won’t go back to your car all day). Hand wipes help with wiping down after digging, and a hat shields against the blistering Texas sun. Stay outside in the fields behind the Civic Center—that’s where you find treasures. The Arbors tend to be filled with mass-produced stuff; the Civic Center has some pretty finds, but they tend to be pricier. On our recent excursion we found a new pair of cowboy boots, pottery, turquoise jewelry, midcentury-style tables, and a granny-style couch with good bones. 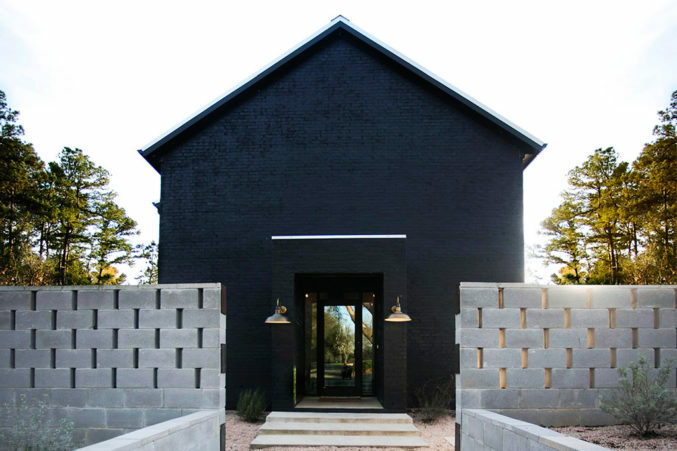 Just 15 miles from the center of town is a beautiful black farmhouse hidden in the pines. 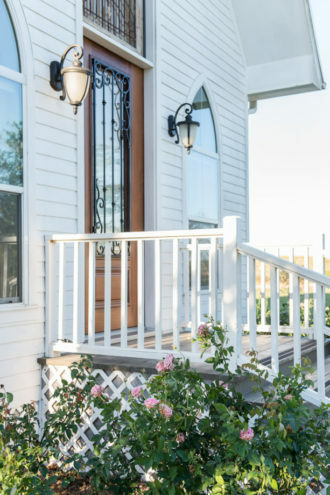 Dallas couple Sara and Rocky Garza purchased the home from a friend and named it The Wilde House, after their son. The cozy home sleeps 10. Weeknight rates are $200 and weekend rates are $250. Prices are for two people (each extra person is $25 a night), two-night minimum. Book via airbnb.com. Dairy Palace is a cult favorite. Order the bison burger and top it off with Blue Bell ice cream. Lunch spots in the fields serve brisket sandwiches and tacos. For dinner, the chicken-fried steak at Buttermilk’s Restaurant is a hearty ending to your day. Flea Style founder Brittany Cobb and Sean and Catherine Lowe.